AIM To study the conservation of energy of a ball rolling down an inclined plane (using a double inclined plane). APPARATUS AND MATERIAL REQUIRED A double inclined plane having hard surface, (for guided motion of the ball on the double inclined plane it is suggested that an aluminium channel or rails of two steel wires be used for it), a steel ball of about 2.5 cm diameter, two wooden blocks, spirit level, tissue paper or cotton, and a half metre scale. PRINCIPLE The law of conservation of energy states that ‘energy can neither be created nor destroyed but can only be changed from one form to another’. For a mechanical system, viz., the rolling of a steel ball on a perfactly smooth inclined plane, the energy of ball remains in the form of its kinetic and potential energies and during the course of motion, a continuous transformation between these energies takes place. The sum of its kinetic and potential energies remains constant provided there is no dissipation of energy due to air resistance, friction etc. In this experiment, the law of conservation of energy is illustrated by the motion of a steel ball rolling on a double inclined plane. A steel ball rolling on a hard surface of inclined plane is an example of motion with low friction. When the ball is released from point A on inclined plane AO, it will roll down the slope and go up the opposite side on the plane OB to about the same height h from which it was released. If the angle of the slope on right hand plane is changed, the ball will still move till it reaches the same vertical height from which it was released. At point of release, A, say on the right hand inclined plane, the steel ball possesses only potential energy that is proportional to the vertical height, h, of the point of release and has a zero kinetic energy. This potential energy transfers completely into kinetic energy when the steel ball rolls down to the lowest point O on the double inclined plane. It then starts rolling up on the second inclined plane during which its kinetic energy changes into potential energy. At point B where it stops on the left hand inclined plane OB, it again has only potential energy and zero kinetic energy. The law of conservation of mechanical energy can be verified by the equality of two vertical heights AA′ and BB′. PROCEDURE 1. Adjust the experimental table horizontally with the help of spirit level. 2. Clean the steel ball and inclined planes with cotton or tissue paper. Even a minute amount of dust or stain on the ball or on the plane can cause much friction. 3. Keep the clean double inclined plane on a horizontal table. Note: In order to reduce friction and thereby reduce loss of energy due to it one can also design an unbreakable double inclined track apparatus, in which the steel ball rolls on stainless steel wire track. In a try outs with such an inclined plane it has been observed that the rolling friction is extremely low and it is very good for this Activity. It also does not develop a kink in the centre, unlike the apparatus presently in use in many schools. 4. Insert identical wooden blocks W1 and W2 underneath each plane at equal distance from point O. The two planes will be inclined nearly equally, as shown in Fig. A 6.1. The inclined plane should be stable on horizontal table otherwise there would be energy losses due to the movement of inclined plane as well. 5. Release the steel ball from A, on either of the two inclined. 6. Find the vertical height AA′ (x) of the point A from the table using a scale. 7. Note the point B up to which the ball reaches the inclined plane on the other side and find the vertical height BB′ (y) (Fig. A. 6.1). Record the observations. While observing the highest position of the steel ball on other plane, observer has to be very alert as the ball stays at the highest position only for an instant. 8. Shift the wooden block W1 and W2, kept under either of the two planes, towards the centre point O by a small distance. Now the angle of the slope of one of the planes would be larger than that of the other. 9. Release the ball again from point A on one of the two planes and mark the point B on the other plane up to which the steel ball rolls up. Also find the vertical height BB′. 10. Repeat Steps (8) and (9) for one more angle of the slope of the inclined plane. 11. Repeat the observations for another point of release on the same inclined plane. OBSERVATIONS Table A 6.1: S. No. Reading on inclined plane from which the ball is rolled down Reading on the inclined plane in which the ball rolls up Difference (x y) (cm) 1 2 3 Position of mark A Vertical height AA′, x (cm) Position of mark up to which the ball rolls up B = Vertical height, y (cm) Mean, y (cm) C = D = 1 2 3 B = C = D = RESULT It is observed that initial vertical height and final vertical height upto which the ball rolls up are approximately same. Thus, the rolling steel ball has same initial and final potential energies, though during the motion, the form of energy changes. The total mechanical energy (sum of kinetic and potential energies) remains same. This is the verification of law of conservation of energy. PRECAUTIONS 1. Steel balls and inclined planes must be cleaned properly with cotton/tissue paper. 2. Both wings of the inclined plane must lie in the same vertical plane. 3. Both the planes must be stable and should not have any movement due to rolling of the ball or otherwise. 4. The position of the ball at the highest point while climbing up the plane must be noted quickly and carefully. SOURCES OF ERROR 1. Some energy is always lost due to friction. 2. Due to lack of continuity at junction of two inclined planes, rolling ball usually suffers a collision with second plane and hence results in some loss of energy. DISCUSSION 1. The key to the success of this Activity for the verification of law of conservation of energy is in keeping the rolling friction between the steel ball and inclined plane as low as possible. Therefore, the ball and inclined plane surfaces should be smooth, clean and dry. 2. The dissipation of energy due to friction can be minimised by minimising the area of contact between the steel ball and inclined plane. Therefore, it is advised that the inclined planes should be made of polished aluminium channels having narrow grooves. 3. The surface of inclined planes should be hard and smooth so that role of friction remains minimum. 4. If the inclination of the planes is large then the dissipation of energy will be more (how)? Therefore inclination of the planes should be kept small. SELF ASSESSMENT 1. Can this Activity be performed successfully with a steel ball of smaller diameter? 2. If the ball is not reaching exactly up to the same height on the other wing, comment on the observations? SUGGESTED ADDITIONAL EXPERIMENTS/ACTIVITIES 1. Study of the effects of mass and size of the ball on rolling down an inclined plane. 2. Study the effect of inclination of the planes on coefficient of rolling friction. AIM To study dissipation of energy of a simple pendulum with time. APPARATUS AND MATERIAL REQUIRED A heavy metallic spherical ball with a hook; a rigid support; a long fine strong cotton thread (1.5 m to 2m); metre scale; weighing balance; sheet of paper; cotton; cellophane sheet. PRINCIPLE When a simple pendulum executes simple harmonic motion, the restoring force F is given by (A 7.1) F(t) = –kx (t) Where x (t) is the displacement at time t and k = mg/L, the symbols k, m, g and L have been explained in Experiment E 6. The displacement is given by (A 7.2) x (t) = A0 cos (ωt – θ ) where ω is the (angular) frequency and θ is a constant. A0 is the maximum displacement in each oscillation, which is called the amplititude. The total energy of the pendulum is given as 1(A 7.3) 2E = k A 0°2 The total energy remains a constant in an ideal pendulum, because its amplitude remains constant. But in a real pendulum, the amplitude never remains constant. It decreases with time due to several factors like air drag, some play at the point of suspension, imperfection in rigidity of the string and suspension, etc. Therefore, the amplitude of A falls with time at each0 successive oscillation. The amplitude becomes a function of time and is given by (A 7.4) A(t) = A–λ t/2e0where A0 is the initial amplitude and λ is a contant which depends on damping and the mass of the bob. The total energy of the pendulum at time t is then given by 1 E (t)= kA2(t)2 = Ee –λ t (A 7.5)0 Thus, the energy falls with time, because some of the energy is being lost to the surroundings. The frequency of a damped oscillator does not depend much on the amplitude. Therefore, instead of measuring the time, we can also measure the number of oscillations n. At the end of n oscillations, t = nT, where T is the time period. Then Eq. (A 7.5) can be written in e–α nthe form E = En	0 (A 7.6)where α = λt and En is the energy of the oscillator at the end of n oscillations. PROCEDURE 1. Find the mass of the pendulum bob. 2. Repeat Steps 1 to 5 of Experiment E 6. 3. Fix a metre scale just below the pendulum so that it is in the plane of oscillations of the pendulum, and such that the zero mark of the scale is just below the bob at rest. 4. When the pendulum oscillates, you have to observe the point on the scale above which the bob rises at its maximum displacement. In doing this, do not worry about millimetre marks. Take observations only upto 0.5 cm. 5. Pull the pendulum bob so that it is above the 15 cm mark. Thus, the initial amplitude will be A = 15 cm at n = 0. Leave the bob0gently so that it starts oscillating. 6. Keep counting the number of oscillations when the bob is at its maximum displacement on the same side. 7. Record the amplitude An at the end of n oscillations for n = 5, 10, 15, ..., that is at the end of every five oscillations. You may even note An after every ten oscillations. 8. Plot a graph of A2 versus n and intepret the graph (Fig. A 7.1).n 9. Stick a bit of cotton or a small strip of paper to the bob so as to increase the damping, and repeat the experiment. A2n (m2)n Fig. A 7.1: Graph between A2n and n for a simple pendulum OBSERVATIONS Least count of the balance = ... g Least count of the metre scale = ... cm Mass of the pendulum bob. m = ... g Radius (r) of the pendulum bob (given) = ... cm Effective length of the pendulum (from the tip of the bob to the point of suspension), L = ... cm Force constant, k = mg/L = ... N m–1 Initial amplitude of oscillation, A0 = ... cm Initial energy, E = 1/2 (k A2)= ... J0Table A 7.1 : Decay of amplitude with time and dissipation of energy of simple pendulum S. No. Amplitude, A n (cm) Number of oscillations, n A2 n Energy of oscillater, E n (J) Dissipation of energy, (E n E o) (J) 1 2 3 4 RESULT From the graphs, we may conclude that the energy of a simple pendulum dissipates with time. PRECAUTIONS 1. The experiment should be performed in a section of the laboratory where air flow is minimum. 2. The pendulum must swing for atleast a couple of oscillations before recording its amplitude, this will ensure that the pendulum is moving in the same plane. SOURCES OF ERROR 1. 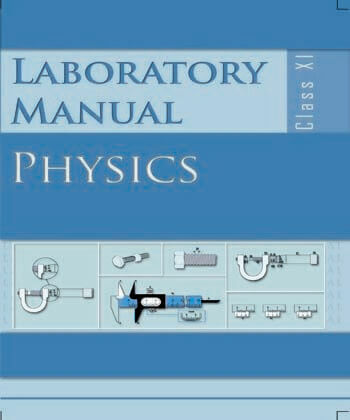 Some movement of air is always there in the laboratory. 2. Accurate measurement of amplitude is difficult. DISCUSSION 1. Which graph among the A – n and A2 – n graph would you prefer for studying the dissipation of energy of simple pendulum with time and why? 2. How would the amplitude of oscillation change with time with the variation in (a) size and (b) mass of the pendulum bob; and (c) length of the pendulum? SELF ASSESSMENT 1. Interpret the graph between A2 and n you have drawn for a simple pendulum. 2. Examine how the amplitude of oscillations changes with time. 3. What does the decreasing amplitude of oscillation with time indicate in terms of variations in energy of simple pendulum with time. 4. In what way does graph between A and n differ from that between the A2 and n graph, you have drawn. 5. Compare the A2 – n plots for (a) oscillations with small damping and (b) oscillations with large damping. SUGGESTED ADDITIONAL EXPERIMENTS/ACTIVITIES Take a plastic ball (5 cm diameter) make two holes in it along its diameter. Fill it with sand. Use the sand filled ball to make a pendulum of 100 cm length. Swing the pendulum allowing the sand to drain out of the hole. Find the rate at which the amplitude of pendulum falls and compare it with the case when mass of the bob is constant. AIM To observe the change of state and plot a cooling curve for molten wax. APPARATUS AND MATERIAL REQUIRED A 500 mL beaker, tripod stand, wire gauge, clamp stand, hard glass boiling tube, celsius thermometer of least count 0.5 °C, a stop-watch/ stop-clock, burner, parraffin wax, cork with a hole to fit the boiling tube and hold a thermometer vertically. PRINCIPLE Matter exists in three states – solid, liquid and gas. On heating a solid expands and its temperature increases. If we continue to heat the solid, it changes its state. The process of conversion of solid to a liquid state is called melting. The temperature at which the change takes place is called melting point. Melting does not take place instantaneously throughout the bulk of a solid, the temperature of solid-liquid remains y constant till the whole solid changes into liquid. The time for melting depends upon the nature and mass of solid. A liquid when cooled freezes to solid state at the same temperature as its melting point. In this caseTM also the temperature of liquid-solid remains constant till all the liquid solidifies. Paraffin wax is widely used in daily life. We canTR determine the melting point of wax by plotting a cooling curve. The temperature of molten wax is recorded at equal intervals of time. First x the temperature of wax falls with time then0 Time (min) becomes constant at TM, the melting point, when it solidifies. On further cooling theFig. A 8.1: Cooling curve temperature of solid wax falls to room temperature TR as shown in Fig. A 8.1. PROCEDURE 1. Note the least count and range of the thermometer. 2. Note the least count of the stop-clock. 3. Record the room temperature. 4. Set up the tripod, burner, heating arrangement as shown in Fig A 8.2. 5. Adjust the boiling tube and the thermometer such that the graduation marks could be easily read by you. 6. Heat the water and observe the state of wax. Continue to heat till all the wax melts, note the approximate melting point. 7. Continue to heat the wax in the water bath till the temperatue is atleast 20°C above the approximate melting point as observed in Step 6. 8. Turn off the burner, and carefully raise the clamp to remove the boiling tube from the water bath. 9. Record readings of temperature after every 2 minutes. 10. Plot a graph of temperature of wax versus time, (temperature on y – axis). 11. From the graph (i) determine the melting point of wax. (ii) mark the time interval for which the wax is in liquid state/solid state. OBSERVATIONS Least count of thermometer = ... °C Thermometer range ... °C to ... °C Room temperature = ... °C Least count of stop clock = ... s Table A 8.1: Change in temperature of molten wax with time S. time temperature No. s °C 1 2 3 4 RESULT The cooling curve of molten wax is shown in the graph. From the graph (i) the melting point of wax is ... °C and (ii) the wax remains in liquid state for ... s and in solid state for ... s. PRECAUTIONS 1. The boiling tube with wax should never be heated directly on a flame. 2. The stop clock should be placed on the right hand side of the apparatus as it may be easy to see. 3. Wax should not be heated more than 20°C above its melting point. SOURCES OF ERROR Simultaneous recording of temperature and time may give rise to some errors. SELF ASSESSMENT 1. Why should we never heat the wax directly over a flame? 2. Why is water bath used to melt the wax and heat it further? 3. What is the maximum temperature to which molten wax can be heated in a water bath? 4. Would this method be suitable to determine the melting point of plastics? Give reason for your answer. 5. Will the shape of the curve for coding of hot water be different than that for wax? SUGGESTED ADDITIONAL EXPERIMENTS/ACTIVITIES 1. Find melting point of ice. 2. Study the effect of addition of colour/fragrance on the melting point of a given sample of colour less wax. Find the change in melting point of wax by adding colour/fragrance in different proportions. AIM To observe and explain the effect of heating on a bi-metallic strip. APPARATUS AND MATERIAL REQUIRED A iron-brass bi-metallic strip with an insulating (wooden) handle; heater/burner. DESCRIPTION OF THE DEVICE A bi-metallic strip is made of two bars/strips of different metals (materials), but of same dimensions. These metallic bars/strips (A and B) are put together lengthwise and firmly rivetted. An insulating (wooden) handle is also fixed at one end of the bi-metallic strip. A bi-metallic strip can be made by selecting metals (materials) with widely different values of coefficients of linear thermal expansion. The bi-metallic strip is straight at room temperature, as shown in position (a) of Fig. A 9.1. When thebi-metallic strip is heated, both metallic pieces expand to different extents because of their different linear thermal expansivities, as shown in position (b) of Fig. A 9.1. As a result, the bimetallic strip appears to bend. PRINCIPLE The linear thermal expansion is the change in length of a bar on heating. If L1 and L2 are the lengths of rod/bar of a metal at temperatures t°C and t°C (such that t> t), the change in length122 1(A 9.1) (A 9.2) (A 9.3) (L2 – L1) is directly proportional to the original length L1 and the rise in temperature (t– t).2 1Then, (L2 – L1) = α L1 (t2 – t1) or L2 = L1 [1 + α (t2 – t1)] and α = (L2 – L1)/(t2 – t1) where α is the coefficient of linear thermal expansion of the material of the bar/rod. The coefficient of linear thermal expansion (α) is the increase in length per unit length for unit degree rise in temperature of the bar. It is expressed in SI units as K–1. PROCEDURE 1. Light a burner or switch on the electric heater. 2. Keep the bi-metallic strip in the horizontal position by holding it with the insulated handle and heat it with the help of burner/ heater. Note which side of the bi-metallic strip is in direct contact of heat source. 3. Observe the effect of heating the strip. Note carefully the direction of the bending of the free end of the bi-metallic strip, whether it is upwards or downwards? 4. Identify the metal (A or B) which is on the convex side of the bi-metallic strip and also the one which is on its concave side. Which one of the two metals/materials strips have a larger thermal expansion? (The one on the convex side of the bimetallic strip will expand more and hence have larger linear thermal expansion). 5. Note down the known values of coefficient of linear thermal expansion of two metals (A and B) of the bi-metallic strip. Verify whether the direction of bending (upward or downward) is on the side of the metal/material having lower coefficient of linear thermal expansion. 6. Take the bi-metallic strip away from the heat source. Allow the strip to cool to room temperature. 7. Repeat the Steps 1 to 6 to heat the other side of the bi-metallic strip. Observe the direction of bending of the bi-metallic strip. What change, if any, do you observe in the direction of bending of the strip in this case relative to that observed earlier in Step 3? RESULT The bending of a bi-metallic strip on heating is due to difference in coefficient of linear expansion of the two metals of the strip. PRECAUTIONS The two bars (strips) should be firmly rivetted near their ends. DISCUSSION The direction of bending of the bi-metallic strip is towards the side of the metal which has lower value of linear thermal expansion. SELF ASSESSMENT 1. You have been given bars of identical dimensions of following metals/materials along with their α - values, for making a bimetallic strip: Aluminium (α = 23 × 10–6 K–1); Nickel (α = 13 × 10–6 K–1) Copper (α = 17 × 10–6 K–1); Invar (α = 0.9 × 10–6 K–1) Iron (α = 12 × 10–6 K–1); Brass (α = 18 × 10–6 K–1) which pair of metals/materials would you select as best choice for making a bi-metallic strip for pronounced effect of bending? Why? 2. What would be the effect on the bending of the bi-metallic strip if it is heated to a high temperature? 3. Name a few devices in which bi-metallic strips are generally used as a thermostat? SUGGESTED ADDITIONAL EXPERIMENTS/ACTIVITIES Design fire alarm circuit using a bi-metallic strip. AIM To study the effect of heating on the level of a liquid in a container and to interpret the observations. APPARATUS AND MATERIAL REQUIRED A round bottom flask of 500 mL capacity, a narrow tube about 20 cm long and of internal diameter 2mm, a rubber cork, glycerine, hot water, a stand for holding the flask, a strip of graph paper, a thermometer. PRINCIPLE A container is required to keep the liquid. When we heat the liquid, the container also gets heated. On being heated, liquid and container both expand. Therefore, the observed expansion of liquid is its apparent expansion, i.e. (the expansion of the liquid) – (the expansion of the container). For finding the real expansion of the liquid, we must take into account the expansion of the container. Real expansion = apparent expansion of the liquid + expansion of the container. PROCEDURE 1. Fill the flask with glycerine upto the brim. Close its mouth with a tight fitting cork having a long narrow tube fixed in it. Glycerine will rise in the tube; mark the level of the glycerine in the tube as A. Set the apparatus as shown in Fig. A 10.1. 2. Place the flask in the trough filled with hot water and hold the flask in position with the help of a stand as shown. OBSERVATION It is observed that as the flask is immersed in hot water, the level of glycerine in the tube first falls down to a point, say B, and then rises up to a level C. DISCUSSION The level falls from A to B on account of expansion of the flask on coming in contact with hot water. This fall is equal to the expansion of the container. After some time glycerine also gets heated and expands. Finally, the glycerine level attains a stationary level C. Obviously the glycerine has expanded from B to C. B C gives the real expansion and A C is the apparent expansion. SELF ASSESSMENT Water in a flask is heated in one case from 25°C to 45°C and in another case, from 50°C to 70°C. Will the apparent expansion/real expansion be the same in the two cases? SUGGESTED ADDITIONAL EXPERIMENTS/ACTIVITIES Take equal volume of water in a glass tumbler and a steel tumbler having similar shape and size. Cover them both with thermocol sheet and insert a narrow bore tube in each. Heat both from 25°C to 50°C and study the apparent/real expansion in both cases. Are they equal? Give reason for your answer. AIM To study the effect of detergent on surface tension of water by observing capillary rise. APPARATUS AND MATERIAL REQUIRED A capillary tube, a beaker of 250 mL, small quantity of solid/liquid detergent, 15/30 cm plastic scale, rubber band, stand with clamp and water. PRINCIPLE Substances that can be used to separate grease, dust and dirt sticking to a surface are called detergents. When added to water detergents lower its surface tension due to additional intermolecular interactions. The lowering of surface tension by addition of detergent in water can be observed by capillary rise method. For a vertically placed capillary tube of radius r in a water - filled shallow vessel, the rise of water in capillary tube h (Fig. A11.1) is given by: 2cosθSh = ρgr Or hρ grFig. A 11.1: Rise of water in capillary tube S = 2cosθ where S is the surface tension of the water vapour film; θ is the contact angle (Fig. A11.1), ρ is the density of water and g is the acceleration due to gravity. For pure or distilled water in contact with a clean glass capillary tube θ≈ 8° or cos θ ≈ 1. Thus, 1S = hρgr 2160 Using this result, the surface tension of different detergent solutions (colloidal) in water can be compared. In a detergent solution, the capillary rise (or the surface tension) would be lower than that for pure and distilled water. And an increase in detergent’s concentration would result in a further lowering the rise of solution in the capillary. A detergent for which the capillary rise is minimum (or the one that causes maximum lowering of surface tension), is said to have better cleansing effect. PROCEDURE 1. Take a capillary tube of uniform bore. Clean and rinse it with distilled water. Also clean and rinse the beaker with water. Pour water to fill the beaker up to half. Make sure that the capillary tube is dry and free from grease, oil etc. Also check that the top of the capillary tube is open and not blocked by anything. 2. Take a plastic scale and mount the capillary tube on it using rubber bands. 3. Hold the scale with capillary in vertical position with the help of a clamp stand. 4. Place the half filled beaker below the lower end of the scale and gradually lower down the scale till its lower end get immersed below the surface of water in the beaker as shown in Fig. A 11.2. 5. Read the position of the water level inside and outside the capillary tube on the scale. Let the positions be h and h respectively. The21rise of water in the capillary is h = h – h.2	16. Rinse the capillary thoroughly in running water and dry it. 7. Take a little quantity of the given detergent and mix it with water in Rubber the beaker. band 8. Repeat the experiment with detergent solution and find capillary rise again. Let it be h′. Rubber Note band The concentration of detergent must not be made high, otherwise the density of solution (colloidal) will change substantially as compared to water. Mor eover, the value of angle of contact between the surface Fig. A 11.2: To study capillary rise in waterof glass and solution may also and detergent mixed in itchange substantially. OBSERVATIONS The height to which water rose in the capillary h = ... cm The height to which the detergent solution rose in the capillary h′ = ... cm. RESULT The capillary rise of detergent solution h′ is less than the capillary rise of water, h. PRECAUTIONS 1. The inner surface of the beaker and the part of capillary tube to be immersed in water or solution in the beaker should not be touched by hand after cleaning them. This is essential to avoid contamination by the hand. 2. To wet the inside of the capillary tube freely, it is first dipped well down in the water and then raised and clamped. Alternatively, the beaker may be lifted up and then put down. SOURCES OF ERROR 1. Contamination of liquid surface as also of the capillary tube cannot be completely ruled out. 2. The tube may not be at both ends or its one end may be open blocked. DISCUSSION Can you also think of materials, which have a property of increasing the surface tension of a liquid? If yes, what are these? [Hint: There are some polymeric materials which can increase the surface tension of water. Such materials are called hydrophilic. These have immense use in pumping out oil from the ground with less power.] AIM To study the factors affecting the rate of loss of heat of a liquid. APPARATUS AND MATERIAL REQUIRED Two copper calorimeters of different sizes (one small and another big); two copper calorimeters of same size (one painted black and the other highly polished), two tumblers of same size (one metallic and another plastic); two thermometers having a range of - 10° C to 110° C and least count 0.5 °C, stop watch/clock, cardboard lids for calorimeters, two laboratory stands, a pan to heat water; a measuring cylinder, a plastic mug. PRINCIPLE Hot bodies cool whenever placed in a cooler surrounding. dQRate of loss of heat is given by ds Q = mass × specific heat capacity(s) × temperature (θ ) = msθ dQ dθ = msdt dt hence rate of loss of heat is proportional to rate of change of temperature. The rate of loss of heat of a body depends upon (a) the difference in temperature of the hot body and its surroundings, (b) area of the surface losing heat, (c) nature of the surface losing heat and (d) material of the container. PROCEDURE (A). Effect of area of surface on rate of loss of heat. 1. Note the room temperature, least count of the two thermometers (T and T).AB2. Take the big (A) and small (B) calorimeters. 3. Heat water in the pan up to nearly 80°C (no need to boil the water). 4. Pour 100 mL of hot water in calorimeter (A) and also in calorimeter (B). This should be done carefully and with least time loss. One can use a plastic mug to pour 100 mL of hot water in a measuring cylinder. 5. Insert a thermometer in each of the two calorimeters. Use stands to keep the thermometers vertical. Also ensure that the thermometer bulb is well inside the hot water in the calorimeters (Fig. A 12.1). 6. Note the temperature of the water in the two calorimeters initially at an interval of 1 minute till the temperature of water in the calorimeter is about 40–30°C above the room temperature and thereafter at intervals of 2 minutes when the temperature of hot water is about 20–10°C above room temperature. 7. Record your observation in Table A 12.1. Plot graphs between θA versus time and θB versus time for both the calorimeters on the same graph paper (Fig. A 12.2). 8. Determine the slope of θ versus t graph after 5 minute interval. OBSERVATIONS Least count of thermometer = ... °C Room temperature = ... °C Table A 12.1: Effect of area of surface on rate of cooling Calorimeter A (Big) Calorimeter B (Small) S. No. Time Temp θ A S. No. Time Temp θ B B. Effect of nature of surface of container on rate of cooling of a liquid 1. Use the two identical small calorimeters; one with black (A) and the other with highly polished (B) surfaces. 2. Repeat Steps 3 to 8 as in part A. Table A 12.2: Effect of nature of surface on rate of cooling Calorimeter Black (A) Calorimeter White (B) S. No. Time Temp θA S. No. Time Temp θB C. Effect of material of container on rate of cooling of a liquid 1. Use the metallic tumbler (A) and the plastic tumbler (B) instead of calorimeters. 2. Repeat Steps 3 to 8 as in part A. Record your observations in a table similar to Table A 12.1. RESULT From the six graphs plotted on 3 graph sheets complete the following: 1. The rate of cooling is ... °C/min in the larger calorimeter as compared to the smaller calorimeter. 2. Least rate of cooling is ... °C/min observed in calorimeter ... part A/B/C. 3. Black surfaces radiate ... heat as compared to white or polished surface in the same time when heated to the same temperature. 4. Plastic mugs are preferred for drinking tea, as the rate of cooling of a liquid in them is ... PRECAUTIONS 1. θA, θB and time recordings are to be done simultaneously so a setup that allows both thermometers could be read quickly and at the same time should be planned. 2. The lid of the calorimeter should be covered with insultating material to make sure that the heat is lost (cooling takes place) only from the calorimeter surface. 3. All three activities should be performed under similar conditions of wind and temperature of the surrounding to reduce their effect on the rate of cooling. DISCUSSION 1. The rate of cooling in summers is lower than in winters. Give a reason for your answer. 2. Surface of metallic kettles are often polished to keep the tea warm for a long time. 3. Why does the rate of cooling decrease when the temperature of liquid is closer to the room temperature? SUGGESTED ADDITIONAL EXPERIMENTS/ACTIVITIES 1. Compare the effectiveness of disposable thermocole tumblers with that of glass for taking tea. 2. Study the rate of cooling of tea contained in a stainless steel (metallic) teapot and a ceremic teapot. 3. Compare the rate of cooling of tea in a cup and in a saucer. AIM To study the effect of load on depression of a suitably clamped metre scale loaded (i) at its end; and (ii) in the middle. A. Bending of a metre scale loaded at its end APPARATUS AND MATERIAL REQUIRED Metre scale (or a thick wooden strip of about 1 m length), thread, slotted weights with hanger (10 g, 20 g, 50 g, 100 g), another graduated scale to be used to measure depression, a pin, cellotape and clamp. THEORY The depression 'y' of a cantilever of length 'L' clamped at one end and loaded at the free end with a load M (weight Mg) is given by relation MgL3 y = 33Y(bd /12) where L, b and d are length, width and thickness of the rectangular cantilever respectively andY is the modulus of elasticity of the material of the rod. 4 MgL3 y = or 3Ybd The readings of depression ‘y’ of the cantilever, in this case with variation of load suspended at the other end, are taken. The variation of depression with load is expected to be linear. PROCEDURE 1. Clamp the metre scale firmly to the edge of the table. As shown in Fig. A 13.1 ensure that the length and breadth of the scale are in horizontal plane and 90 cm of the length of the scale is projected out. Fix a pin with a tape at the free end of the metre scale along its length to act as a pointer. 2. Fix a graduated scale vertically near theRigid but free end of the clamped metre scale and note its least count. Ensure that the pointed end of the pin is just above the graduation marks of the scale but do not touch it. 3. Read the pointer 'p' when metre scale cantilever is without any load. 4. Suspend a hanger of known mass for keeping slotted weights to depress the free end of the cantilever. 5. Read the pointer on vertical scale and record the observation. 6. Keep on adding 20 g masses to the hanger and record the reading of the pointer everytime when it stops vibrating. 7. After taking 6-7 observations with increasing load, gradually remove the slotted weights one by one and record the reading while unloading. 8. Plot a graph between the depression and the load. OBSERVATIONS Length of the cantilever L = ... cm Width of the metre scale cantilever b = ... cm Thickness of the metre scale d = ... cm Reading of the free end of the cantilever with no load, l0= Table A 13.1: Effect of load on depression of cantilever l1 (cm) when l2 (cm) when Mean load is load is l1 + l2l = increasing decreasing m 2 (cm) 1 2 3 4 5 6 7 RESULT The depression 'y' is directly proportional to the load M. PRECAUTIONS 1. The beam should be rigidly clamped at one end. 2. Loading and unloading of the slotted weights should be done carefully without disturbing the position of the hanger on the beam. 3. The vertical scale should be adjusted close to the pointer in such a way that the pointer moves along it freely. SOURCES OF ERROR 1. The scale should not be loaded beyond its elastic limit. (This can be easily checked by comparing the zero load reading after removing the maximum suspended load with that taken at the beginning of the experiment). 2. There should be no vibratory motion of the beam when reading is recorded. 3. While noting down the observation, the eye should be normal to the tip of the pin and the graduated scale. 4. Observations should be repeated while removing masses. B. Bending of metre scale loaded in the middle APPARATUS AND MATERIAL REQUIRED Metre scale, two wedges to rest the ends of the metre scale, thread, slotted weights 200 g each, hanger for slotted weights, a graduated scale with a stand to hold the scale vertical, a plane mirror, a pointer and plasticine. DESCRIPTION OF THE DEVICE Fig. A 13.2 shows the arrangement. A horizontal metre scale is held on two wedges, a hanger is provided at the middle of the metre scale for applying load. A pointer is fixed at the mid point to measure the dipression. A graduated (least count 1 mm) scale with a plane mirror strip attached to it is held in vertical position in a stand behind the horizontal metre scale. Plane mirror for taking reading Beam Fig. A 13.2: Experimental set up to study depression, i.e., sag of a beam with load in the middle THEORY Let a beam be loaded at the centre and supported near its ends as shown in Fig A 13.2. A bar of length 'L', breadth 'b' and thickness 'd' when loaded at the centre by a load 'W' sags by an amount given by Wl3 y = 34bd Y where 'Y' is the Young’s modulus of the material of the rod/ beam, W, the load (= mg), where 'm' is the mass of the hanger with weights. The depression 'y' is directly proportional to the load. PROCEDURE 1. Place the metre scale on two wedges with (5–10 cm) length projecting out on either side. Metre scale supported at both ends is like a beam. 2. Tie a loop of thread in the middle of the load such that a hanger to support slotted weights each of 200 g can be suspended on it. Ensure that the thread is tied tightly with the rod and does not slip. 3. Place a graduated scale (with least count 0.1 cm) vertically in a stand at the centre of the metre scale used as beam. To facilitate readings the vertical scale should be kept on the far side of the metre scale. Fix a pin to the hanger such that its pointed end is close to the edge of the vertical scale which has graduation marks on it. 4. Suspend the hanger of mass 200 g and record the position of the pointer fixed to the hanger. The mirror strip on the vertical scale should be used to remove any parallax. 5. Keep on adding 200 g slotted masses to the hanger and record the readings of the pointer each time. 6. Take about six observations. 7. Now, remove masses of 200g one by one recording the position of the pointer each time while unloading. 8. Calculate the depression for the loadM gram and hence depression per unit load. 9. Plot a graph between the values of depression y against corresponding values of load and interpret the result. OBSERVATIONS Width of the beam, b = Thickness of the beam, d = Length of the beam between the wedges, L = Table A 13.2 Depression of the beam for different loads 1 2 3 4 5 6 0 200 400 Load Load Mean increasing r′ 1 (cm) decreasing r′ 2 (cm) reading 1 2 2 r r r ′ + ′ = (cm) r0 0 r1 r1 – r0 r2 r2 – r0 RESULT The depression of the metre scale at its middle is ... mm/g. The depression 'y' is directly proportional to the load M. SOURCES OF ERROR 1. The rod should not be loaded beyond elastic limit. 2. There should be no vibratory motion of the rod when reading is recorded. 3. While taking readings, the eye should be normal to tip of the pointer and the metre scale. 4. The beam should be of uniform thickness and density throughout its length. 5. The masses used must have standard value as engraved on them. PRECAUTIONS 1. The beam should be symmetrical on the knife edges. 2. Loading and unloading of the slotted weights should be done carefully without disturbing the centre point. 3. Mirror strip used to eliminate parallax error should not disturb the experimental setup.